Continuing her story about her past, Red describes her final days with Cobra at the Ranger base, and the events that lead directly to the beginning of his training with Warren. Check out the Playtime Forums to talk about the show and other machinima! 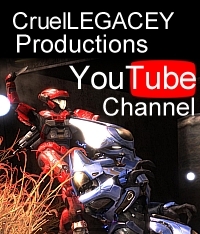 This entry was posted in Episodes, halo reach, Playtime and tagged halo waypoint, machinima, playtime, season 3. Bookmark the permalink.